The main subgroups present in Vietnam are the White Hmong, the Hmong Leng, Hmong Pua, Hmong Shi or Sheu and the black Hmong. 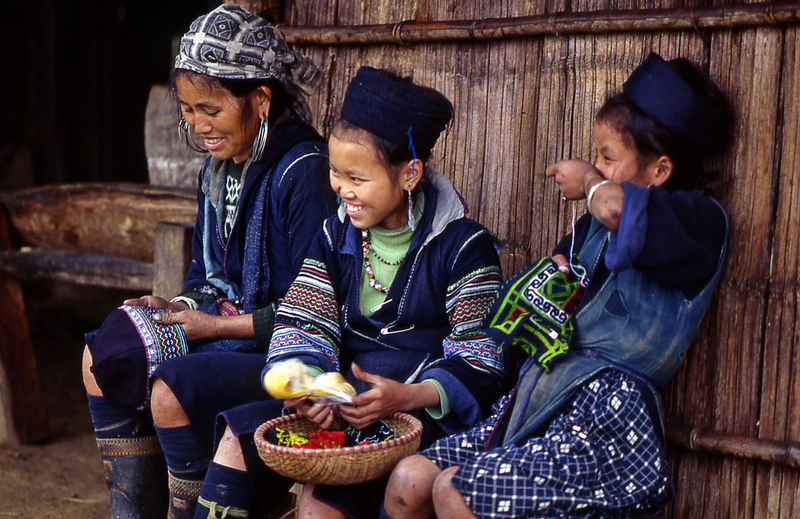 In Sapa, Hmong people is one of major ethnic group and black Hmong people is mostly. You can visit the Black H’mong minority in Supan, Y Ling Ho, Lao Chai and Cat Cat village. 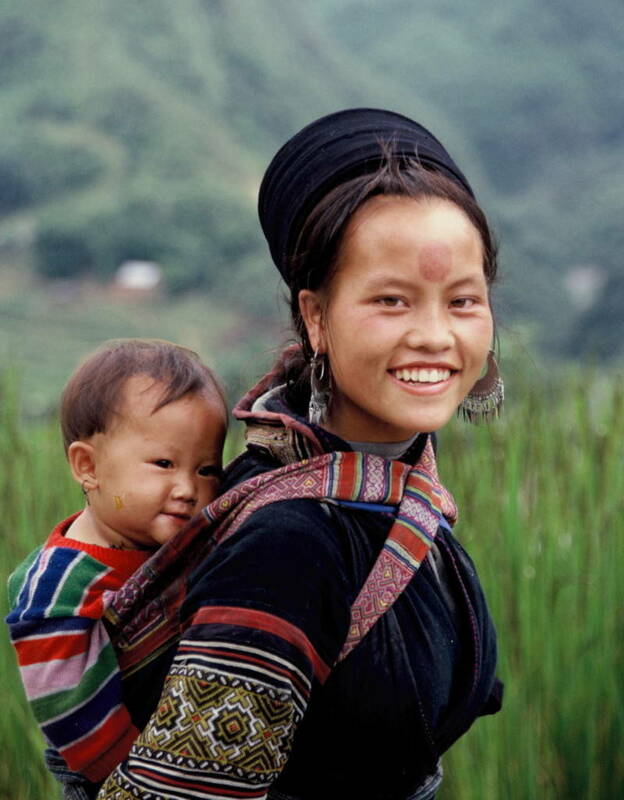 Language: The spoken language belongs to the H’mong – Dao language family. Costum: The Hmong wear clothing that is decorated with some of the finest needlework to be found anywhere. Every member of the family, from tiny infants to the elderly, wear embroidered adornments, all of this is done by Hmong women. The Hmong groups are usually identified by characteristics of women's clothing. For example, the White Hmong women wear skirts of unbleached linen, while the skirts of the Black Hmong and Green Hmong are dyed indigo. Today some H’mong wear Viet or western clothes. The Hmong keep much of their wealth in the form of silver jewellery. Not only women even children and men also wear silver ornaments. Beliefs: Today the Hmong often combine elements of Buddhism, Confucianism and Taoism in their world-view and their society. Most rituals and ceremonies are performed by the Hmong so as to honor the will of the ancestors and placate natural spirits. They hope that if the ancestors are pleased, they will protect their descendants from sickness and misfortune. Festivals: Like the other minorities, the Black H’mong have lots of different festivals during the year. They ensure that there is always time for community activities, which play an important role in their life. One of the most important festivals is the New Year, which they celebrate for an entire month. It happens about one month earlier than Vietnamese Tet. During this time, boys play flutes and girls play an instrument made from two leaves. They all spend time together playing traditional games. There are many interesting secrets about the black Hmong in Sapa. Let come to Sapa to have exciting experiences with black Hmong people.